- According to BBC news, cinemas would not be divided as per gender, It will offer both men and women on a regular basis, As is normally required in public venues. However it is unclear that what kind of movies will be permitted later and it is for sure some scenes of the movie will be censored. 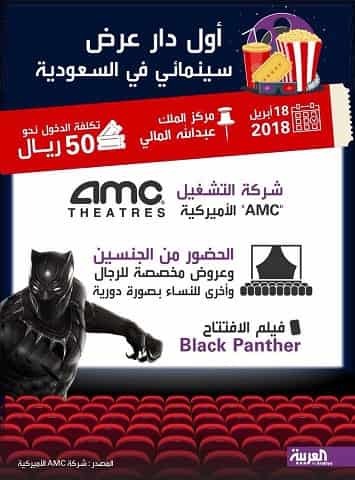 - ‘Black Panther’ will be exhibited in a theater that can accommodate 620 people at the King Abdullah Financial Center in Riyadh, and the American operator AMC has also scheduled a special event by for the historic opening reported in AlArabiya news. - The movie was chosen for several reasons. The film has been leading at the box office in the United States and worldwide for weeks and has received much critical acclaim. 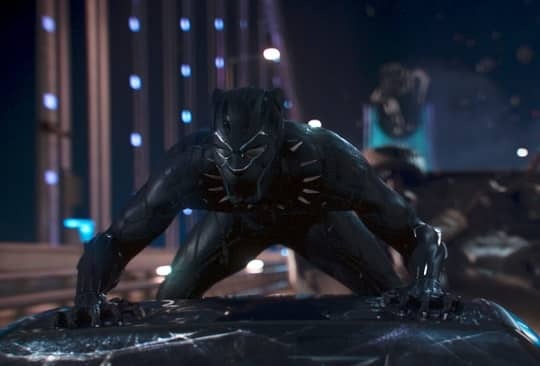 - The movie became one of the most profitable at the global box office in cinema history, after its revenues touched more than $1.27 billion.